“It’s a big problem,” said State Senator Bill Dodd, who was the lead author of SB901, a new bill that provides some financial relief to PG&E and requires the company to notify employees 15 days in advance of any change in control of the company, including bankruptcy. Dodd says he heard directly from someone within PG&E, that they will notify employees Monday and is not surprised after the utility’s credit rating was downgraded to junk status on Tuesday by Standard & Poor’s. “We have heard the threat of bankruptcy from PG&E again and again. Well, they may or may not choose bankruptcy. What we do know is this, they have used that threat to manipulate the legislature, to manipulate the PUC, to get bailouts and to not be held accountable,” said Mindy Spatt who is the communications chief of The Utility Reform Network or TURN, a non-profit that advocates for low utility rates. Besides potential rate hikes, Spatt says she’s worried about big payouts to PG&E executives. 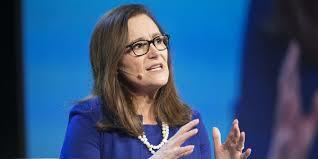 PGE&E announced Sunday night that their CEO, Geisha Williams, resigned. “We also want to make sure that customers don’t pay for golden parachutes for any member of the board of directors of PG&E,” said Spatt when she learned of Williams’ resignation.